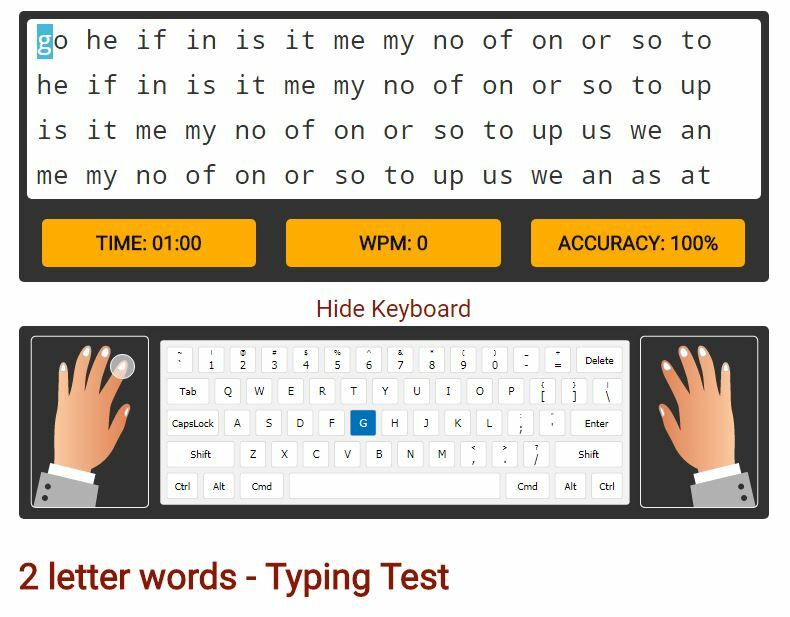 Type Dojo is a new free comprehensive approach to learning keyboarding. 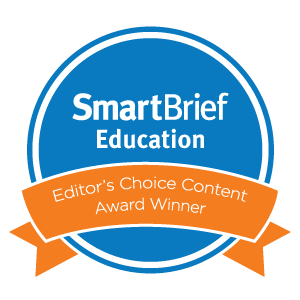 The ad- and distraction-free interface provides not only practice drills but quick links to grade-appropriate keyboarding games (including the popular ones from DanceMat Typing). 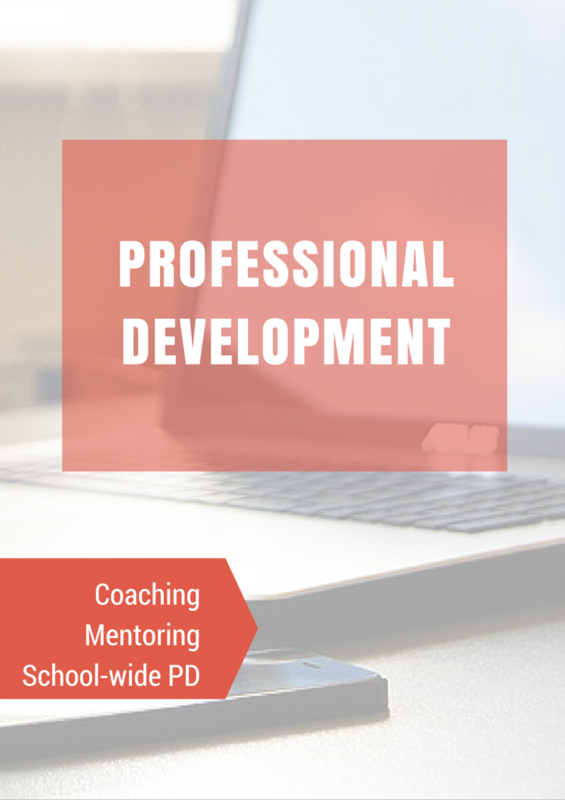 It’s easy to get started and just as easy to use making it the perfect tool for busy teachers and students who have lots to do besides keyboarding. 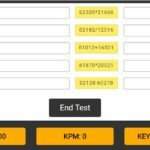 But in the crowded field of online keyboarding, Type Dojo will become your favorite for one other simple reason: It multitasks. 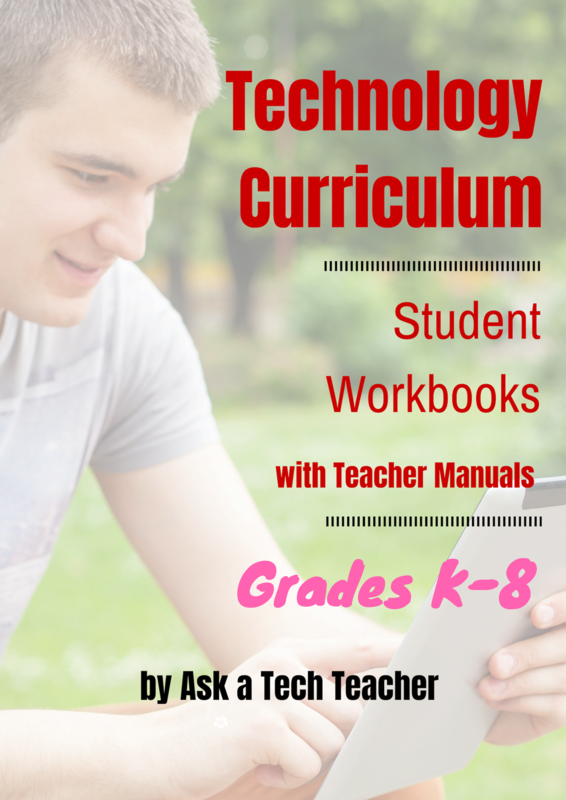 It has tons of wordlists for many subjects so students learn while practicing keyboarding. 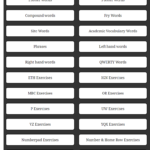 For example, if you’re working on geography, students can keyboard with the Geography word list or Marzano Science. If you’re studying literacy, use wordlists for Dolch/Fry/Sight words, Compound Words, or Phrases. Activities present as a timed test (between one and five minutes) that are selected by grade and topic. When completed, students get a certificate that can be printed or simply saved in their personal file. 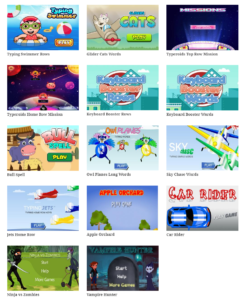 Type Dojo also has a link to KidzType where students can access a wide variety of keyboarding games to mix in with the tests. 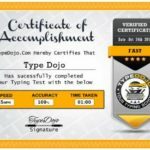 Type Dojo requires no log-in but you’ll want to register to keep track of the Certificates of Achievement and individual progress through wordlists. Once you register, all you do is click on your profile to get a list of all the completed wordlists or print the certificates. 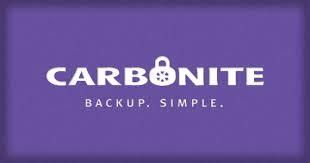 To get started, simply open the website and login if you have an account. 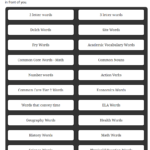 Select the length of time for the test (between one and five minutes), the grade level, and the word list (this changes by grade level but includes subject-specific words, drills, and more). You’ll see an uncluttered easy-to-understand screen that shows what you’re going to type and tracks progress. There’s also a keyboard with the letter highlighted (which can be hidden) and hands with the correct finger selected. 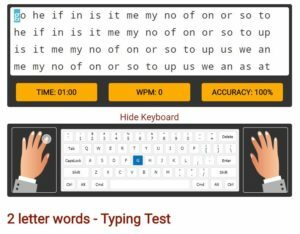 As students work, Type Dojo provides skills-based reminders on how to keyboard and why accuracy is important. That makes it a good tool for typists, no matter the grade, who haven’t engaged in a comprehensive typing course before. In fact, each test is prefaced with hints on the correct way to type: Always Sit Straight. Make Sure Monitor Is Right For Your Eyes. Place Hands. Never Look At The Keyboard. These used to be part of most typing programs but many have dropped them. Besides the word lists, there are also traditional rote drills like the middle school lists for Symbols, Numbers, and the Number Pad. Though all typing is timed, students can use the lists to drill keyboarding skills, paying attention to the timer only for assessment purposes. In this way, the program will alert them when their typing time is up and it’s time to move on. I don’t see options for iOS or Android devices because the program is designed to be run from the Internet (which means it’s compatible with PCs, Macs, and Chromebooks). 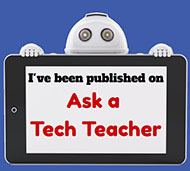 Since few educators teach typing from iPads or smartphones, this likely will not be a hindrance. Students learn to keyboard best when they mix up rote drills, tests, and games. With Type Dojo, students have easy access to all of these. Because the tests are between one and five minutes, Type Dojo is excellent for warm-ups and exit tickets. Just have students click through to the test you’ve chosen (or they’ve chosen) and the time limit. When finished, they’re ready to move on to the next activity or leave class. 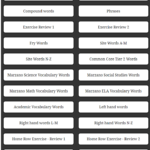 The word lists reinforce learning in many topics much as you would with a vocabulary program (like SpellingVocabularyCity). For example, if you’re working on word study or literacy with 2nd graders, have students select Fry or Dolch Words. They’ll learn while honing typing skills. One of the word lists is for the quick two- and three-letter words that are automatic for accomplished typists (meaning they don’t need to think to type them). This is a great way for even your fastest typists to increase their speed. Students earn Certificates based on typing speed and accuracy. 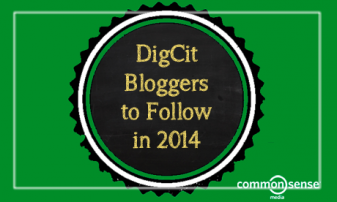 These can be used as a class assessment to chronicle student progress. If you use the same speed test website over and over, this is a nice change for students. This is the only site I’ve seen with a speed quiz for the ten-key. I’m excited. Type Dojo has no login, no ads, no distractions, and original content. 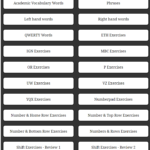 If you’re looking for a new online keyboarding site that’s free, you’ve just found it.